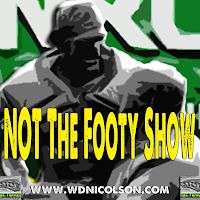 Just a quick note to wish everyone who reads www.wdnicolson.com, follows @NRLTweet and listens to NOT The Footy Show - a very Merry Christmas and a safe New Year ahead of 2015. 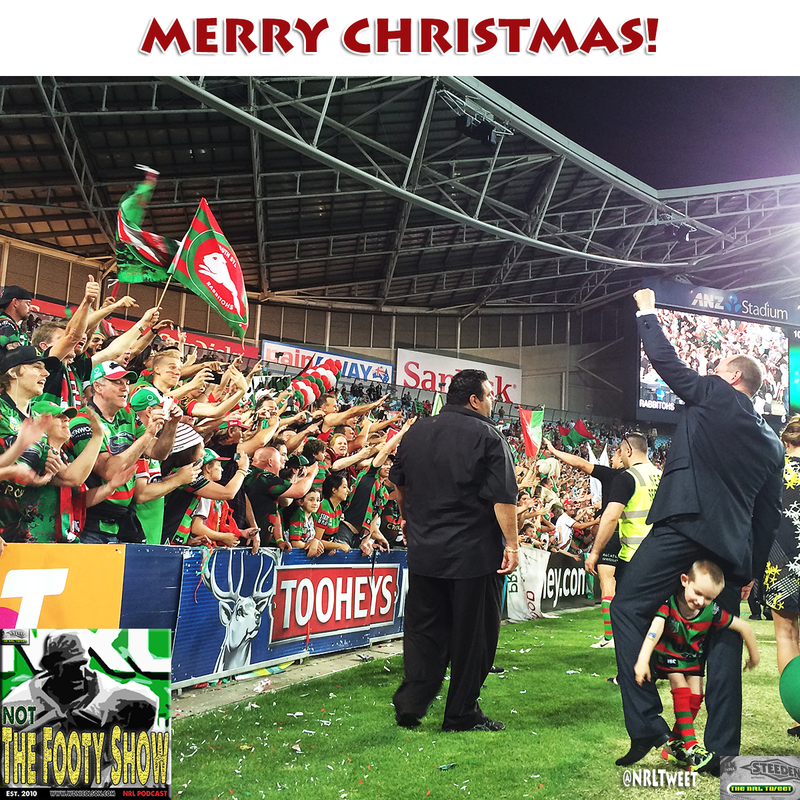 Below is the one photo I took during my 2014 NRL travels that I think puts footy into perspective for all of us... especially at this time of year when quite frankly there is far more to life than footy. See you in 2015 everyone! TV still rules, but you knew that right? So we have a 'leaked' Round 1 Draw for NRL 2015 and clearly some lessons have been learned from last year's '7-games-in-Sydney' experiment but despite Fox Sports having the perfect opportunity to hand Sydney a single game on each day across the opening round - they've let the crowd boosting side down and gone with an all out of Sydney Super Saturday (just when fickle Sydneysiders will be itching for a game to attend). According to the Tele - we start with Bunnies at Broncos on Thursday, head to Parra for Manly v Eels on Friday, then spend Saturday in Newcastle (Warriors at Knights), in Townsville (Easts at Cows) and then finish with Tigers v Titans on the Gold Coast. Come Sunday it's off to Penrith at 4pm for Dogs v Panthers, then Raiders at Sharks for Sunday night footy. The opening round ends with Melbourne heading to Kogarah to face the Dragons in MNF. All in all a good mix of games but how have Fox Sports erred with their picks for no apparent ratings reason? Having no game in Sydney on Saturday takes away one of the few prime drawing days from the long long NRL season. Think about it - opening weekend is the most universally anticipated game of the Rugby League fan - and Fox just took one valuable crowd drawing day away from the biggest market. Playing two games back to back on Sunday in Penrith and Cronulla makes the not-their-team-playing footy-starved-fan have to either choose which game to go to or alternatively - and more likely - watch both from home. Statistically not a game changer ratings wise but the impact on the gate will be felt far more either way. And they appear to have overlooked the crowd value of moving Cronulla's game to Saturday fits their home fanbase better than Sunday night. Sat arvo makes it an event for the Shire - Sunday night makes it an inconvenience - new season or not. Saturday night is also preferable as at least in March we can wish for non-traditional Shark Park rain right? So which Super Saturday game gets changed without impacting the crowd significantly you ask? Newcastle could still draw 17-18k on Sunday night (and thus also be prime time in NZ) v maybe 22-25k on Saturday at 4:30pm so the clear candidate is the Titans v Tigers game. You want to believe the Titans opening up a new season on Saturday night at 8pm can draw 15k+ but would a Sunday 6:00pm (QLD time - so that makes it 7pm in NSW) start draw much less - if not possibly more? TV wise it's hard to believe that game would rate worse as the Sunday night game - so why did Fox Sports go with this instead of Cronulla v Canberra in Sydney? ...Respectfully, can we offer a simple 'they didn't think it out'? So our 'solution' is move Sharks v Raiders to Saturday 7pm, Cowboys v Roosters to 8pm (QLD time) and Titans v Tigers to Sunday 6pm (QLD time). This gives Sydney four straight days of stand alone games for the ficklest of fans to attend and then... we all hope for the best on the crowd front. Note: The above draw discussion is based purely on the Telegraph leak published Sunday December 7, 2014. www.wdnicolson.com has absolutely no inside knowledge of how Round 1 2015 will be shaped beyond this information.